The Vortec 6.0L V-8 (LQ4) is an LS-based, Third Generation, Chevrolet Truck Engine (Gen III V8). LQ4 is the Regular Production Option code (RPO) that identifies this engine. 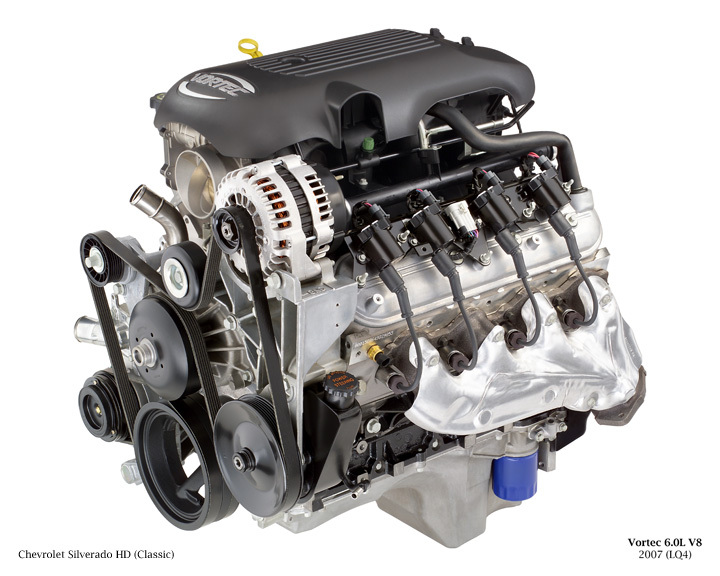 The Vortec 6.0L V8 (LQ4) uses advanced technologies including aluminum cylinder heads and a thermoplastic intake manifold. Its deep-skirt engine block allows cross-bolting of the bearing caps, limiting crank flex, stiffening the engine's structure and reducing overall vibration. Its cylinder heads have replicated ports that are identical in every detail, allowing constant cylinder-to-cylinder airflow. 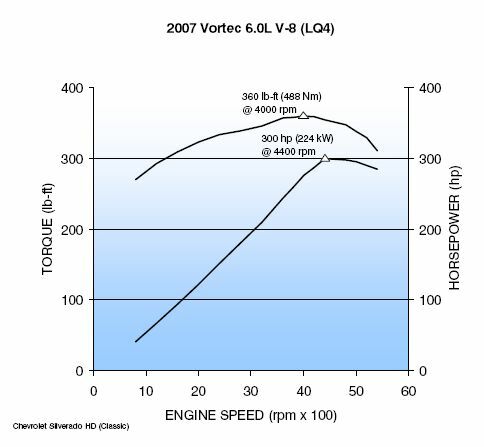 Until the advent of the premium Vortec 6.0L HO (LQ9), the LQ4 was the largest and most powerful of GM Powertrain’s Gen III Vortec V8s. The LQ9 was developed for Cadillac's luxury Escalade sport-utility vehicles, with flat-top pistons that increase the compression ratio from 9.4:1 (for the LQ4) to 10.0:1. RPO LQ9 was subsequently renamed the Vortec Max and applied in full-size pickups. 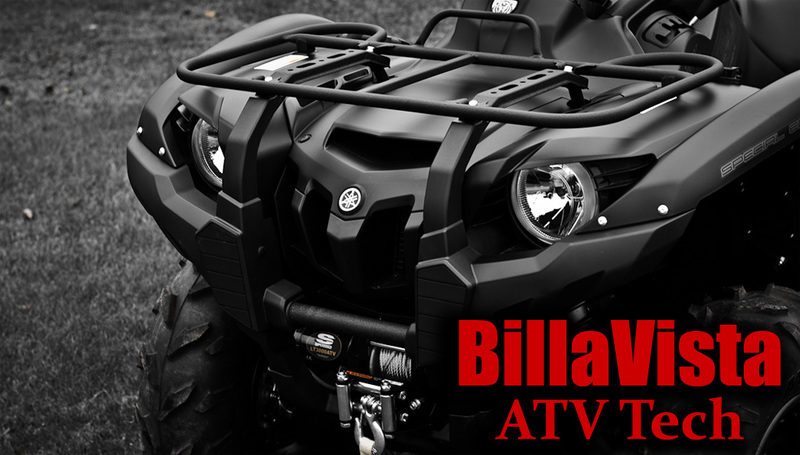 The LQ4 was designed and built to deliver maximum durability with minimal maintenance. A steel camshaft provides excellent durability. Steel roller rockers add stiffness, allowing greater engine speed with less vibration. Hydraulic roller lifters reduce friction for better fuel economy and wear resistance. Floating-pin pistons reduce operational noise.The iridium spark plugs extend anticipated plug life to 100,000 miles, while the coolant maintains its cooling and corrosion-inhibiting properties for 150,000 miles. The returnless fuel injection system and the latest gasket technology allow the engine to meet near-zero evaporative emissions standards. Scheduled maintenance is limited to oil changes as indicated by GM’s Oil Life System. The LQ4’s PCM records engine temperature, length of operation at a given temperature and several other operating parameters, and then indicates an oil change when it's actually needed, rather than according to a predetermined interval. 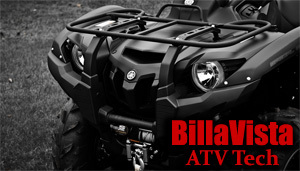 The LQ4 is equipped with electronic throttle control (ETC). 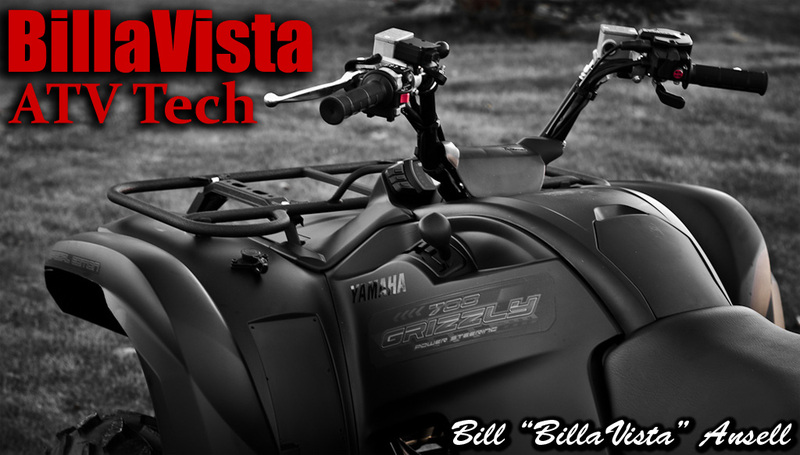 The system includes a Throttle Actuator Control (TAC) module that delivers the signals that control the electric motor in the throttle body. ETC eliminates the mechanical link between the accelerator pedal and the throttle body. It uses a potentiometer to measure pedal angle and signals the powertrain control module (PCM), which in turn directs an electric motor to open the throttle plate in the throttle body to the appropriate angle and at the appropriate rate. In addition to throttle pedal angle, the PCM uses other data, including the transmission’s shift patterns and traction at the drive wheels, to determine how far to open the throttle. ETC delivers outstanding throttle response and greater reliability than a mechanical connection, which typically uses a cable that requires adjustment. Cruise control electronics are integrated into the system, further improving reliability and simplifying engine assembly.